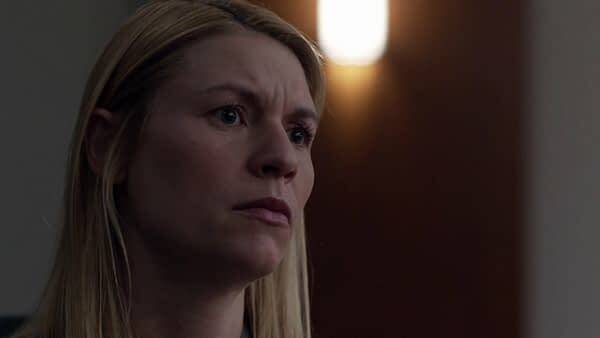 While appearing on The Howard Stern Show today on Sirius XM, actress Claire Danes told Howard Stern that her popular Showtime series, Homeland, would come to an end after the upcoming eighth season. The series is finishing up it’s seventh season now with the finale on April 29th. It’s working on a two-season renewal that showtime gave it prior to the premier of season six in 2016. Danes told Stern she was “really conflicted” about the series coming to an end but the character of Carrie Mathison is “a lot” and she is ready for a reprieve from that. In the current season Carrie has left her job in the White House and moved back to Washington, D.C. to live with her sister Maggie. She takes on the Keane administration to secure the release of the 200 members of the intelligence community who were arrested under President Keane’s orders the previous season. Along with Danes, Homeland stars Elizabeth Marvel, Linus Roache, Mandy Patinkin, James D’Arcy, Amy Hargreaves and Dylan Baker. Homeland is based on an Israeli series called Prisoner of War created by Gideon Raff. It was developed for American television by Alex Gansa and Howard Gordon. The series debuted October 2nd, 2011 on Showtime.